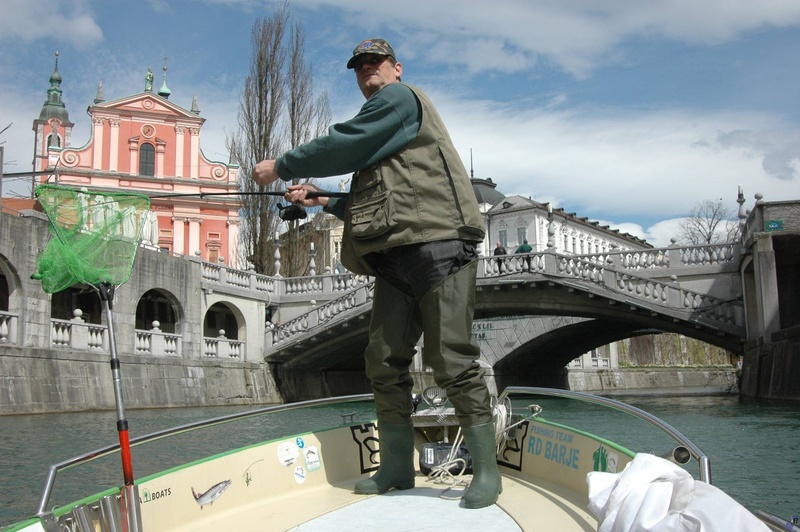 You will get in a fishing boat in the city centre of Ljubljana, begin fishing on the city centre section of the Ljubljanica, and continue your activity while drifting towards the Ljubljana Moors. We'll take you to Podpeč where you can chase large fish and have a great fun at the same time. Fishing will be done in accordance with regulations, which means that most of the fish caught will be released. River Ljubljanica gives Ljubljana a special touch as a navigable river until the 19th century. Today Ljubljanica River is one of the most recognizable symbols of the city. The dark green river, surrounded by plentiful bank-side vegetation, which enables good fishing especially from a boat, hides trout, grayling and huchen, as well as Danube roach, chub and pike. Every year, several trophy individuals of these species are caught. Enjoy fishing on the river Ljubljanica. Per request it is also possible to arrange departure from other cities in Slovenia.